I found a new obsession in, you guessed it, Once Upon a Time. It awoke a new passion for fairy tales. Since starting this post, I finished the show, gobbled up a few fairy tale books and now sit here, eagerly anticipating Season 4, which arrives September 28. While the show has its faults and inherent cheesiness, I find it absolutely delightful. I love the liberties they take combining classic tales with whatever stories they feel like (Frankenstein? O-k). 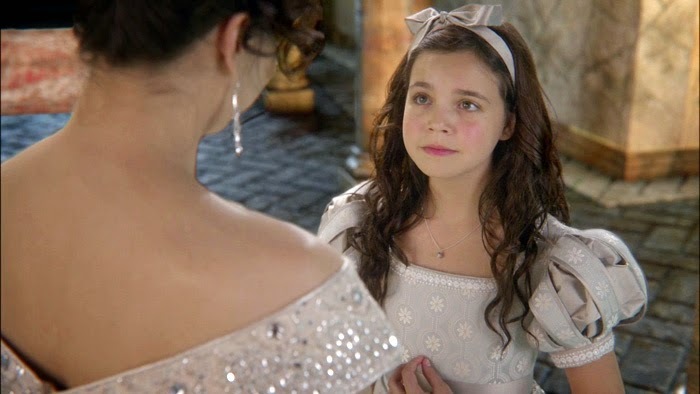 I admit, I prefer darkness in my fairy tales a la Pans Labyrinth and A Little Princess, but this show definitely has its moments. 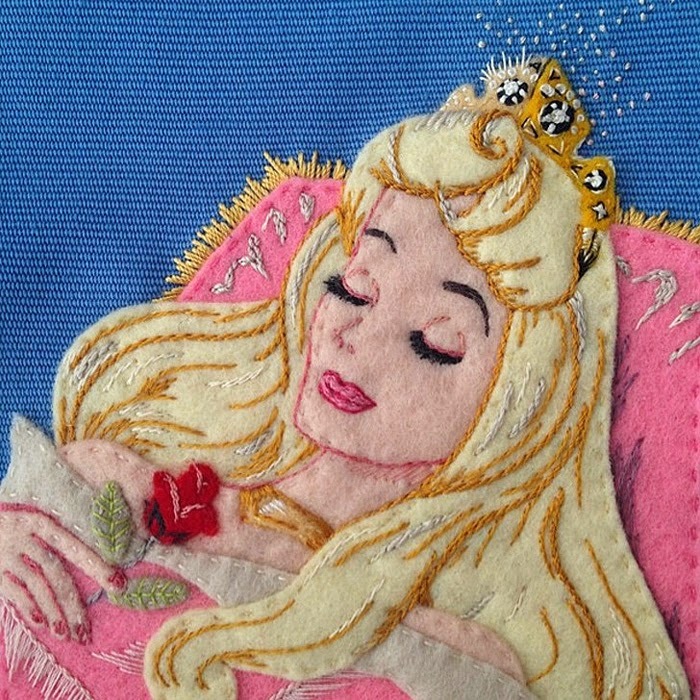 Enjoy the fruits of my fairy tale obsession from fashion to home decor. Spoiler alert: I'm sad they quickly killed off my new TV crush. I'll have to watch him in 50 Shades of Grey now...which should be interesting. Prince Charming is like the least charming character, but it's adorable that he and "Snow" are together in real life. Can't beat that co-star story. Has anyone else noticed that red leather jackets are like code for hero? Both Once Upon a Time and Guardians of the Galaxy make a big deal of it. I also remember Buffy donning one at some point. Apparently there are quite a few Disney Designer Collaborations. 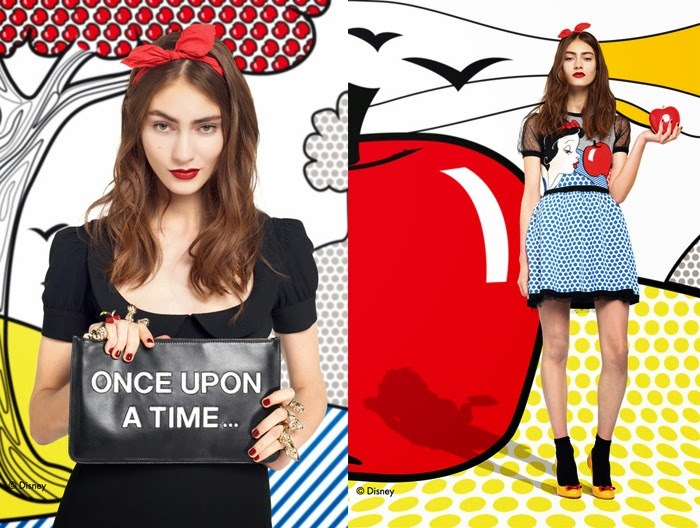 Here are a few fairy tale items I'm digging these days. H&M has a bunch of cute stuff. I picked up the middle set of boxes and the pastel pink bookend. These clutches are beyond dreamy. These are super cute. I might have to get one! They also have totes, which are equally adorable. It's hard to choose just one though. I can't get enough of Red Valentino. Everything they make is amazing. Apparently every collection is based off a story. 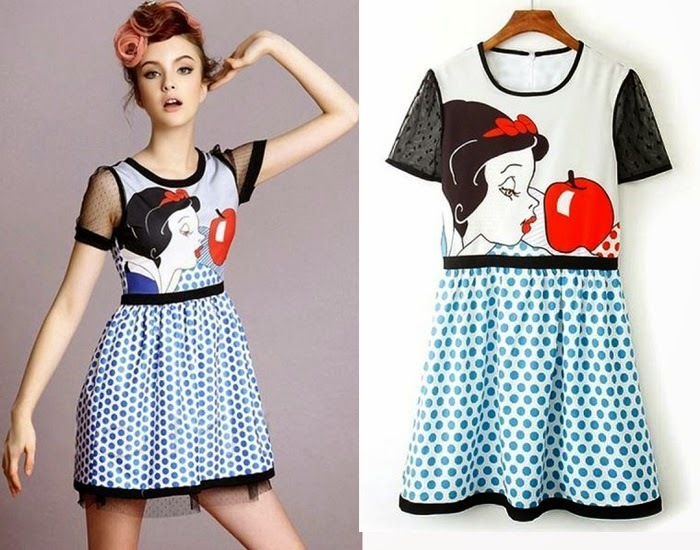 I was alerted to this gorgeous Beauty and the Beast dress via Soubrette Brunette's awesome Friday Favorites post. The stain-glass pattern is so pretty. Belle was always my favorite as a kid, she spoke to the book worm in me. I might be digging Mulan more these days. On a weird fashion note..I was totally coveting this dress until I saw it was a straight up knock-off of the Red Valentino from the top of this entry. I'm not even going to link to the site because it's kind of depressing how blatant it is. There's not even any small changes like other knockoff brands. Come on. Love this post (and thanks for the mention!). I love the Sleeping Beauty clutch! Of course and right?! It's soooo beautiful but obviously crazy expensive. Oh man, I LOVE Once Upon A Time. Initially I thought I would hate it, but boy was I wrong. XD Awesome collection! also.. Hook and Charming are some handsome men too <3 haha. oh and i love that red valentino collection! ME TOO. I was like "damn, this guy is HOT...wtf they just killed him.." Hook is great but Charming is mostly just dumb..but he and Snow are adorable together. Now I'm excited for 50 Shades even though I have no book investment.